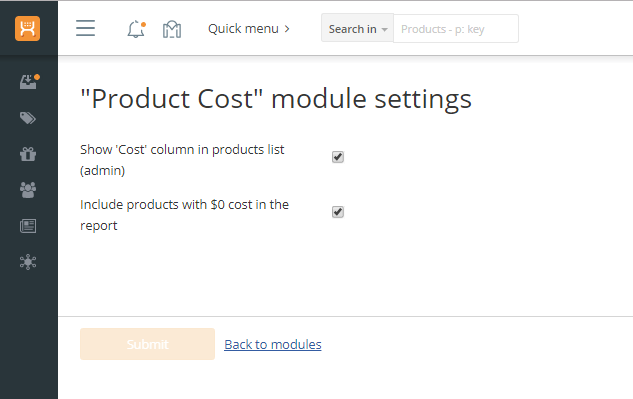 The Product Cost module allows you to add cost to all products and variants and generate profit report from orders search page in admin. 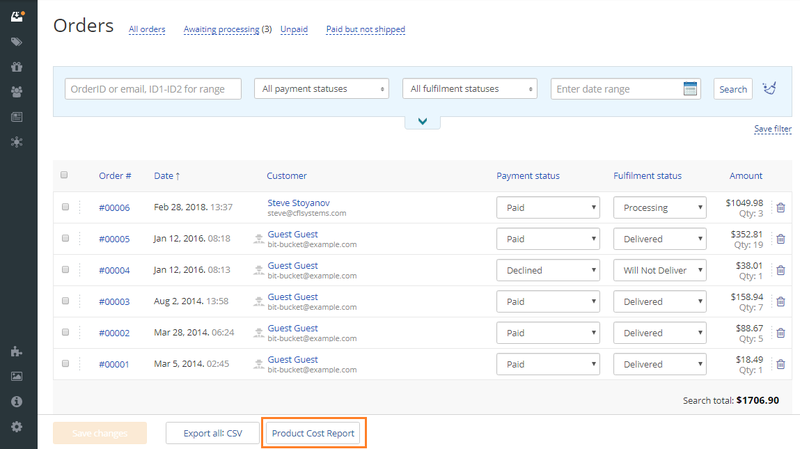 The report list all products individually to give you better idea what your profit (or loss) on a certain product is during a period. 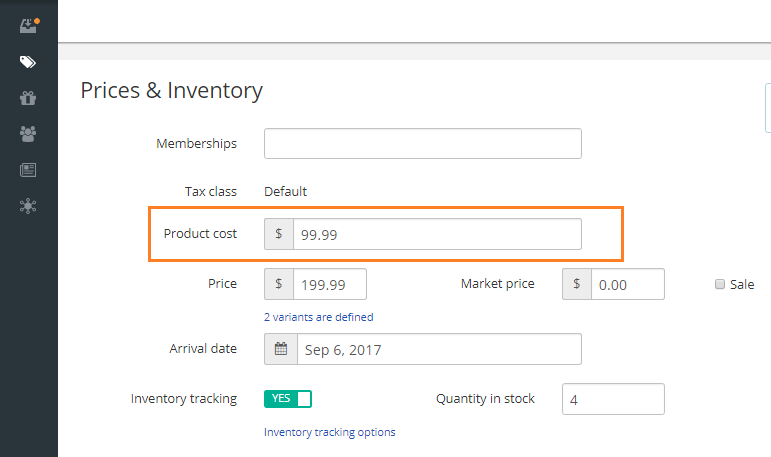 Adds product cost field to products and variants. 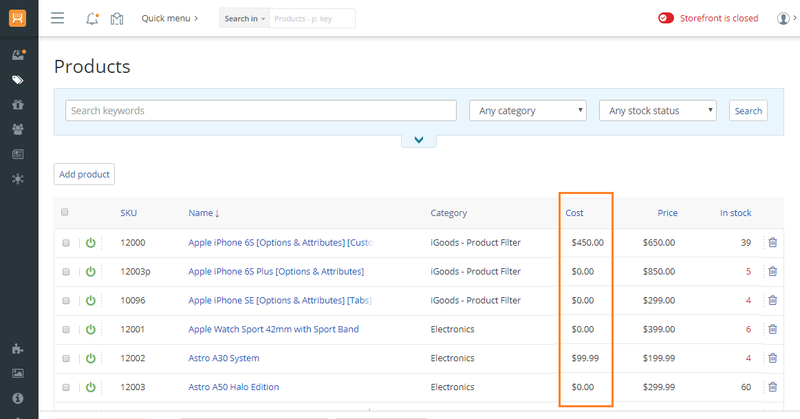 Product/variant cost for each item is saved with the order at time of placement. Any future changes to product/variant cost will not affect already placed orders. 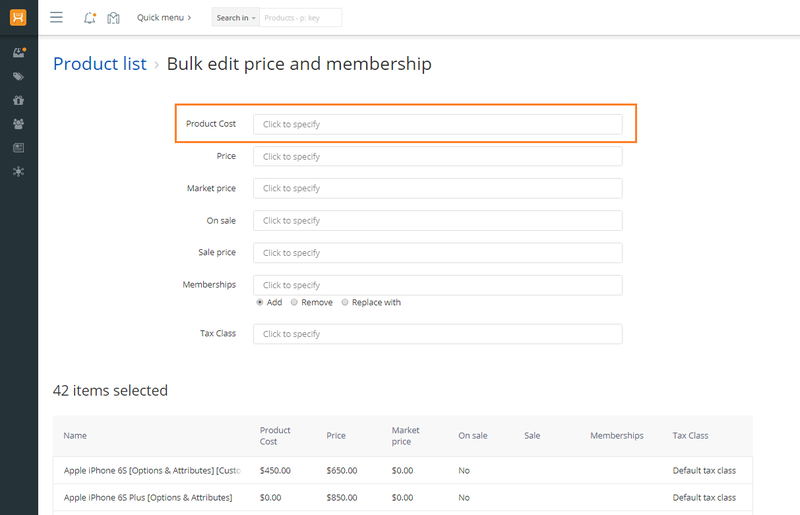 Product cost can be adjusted in bulk on products list page and bulk editing page. Any changes to already placed orders - add, remove, modify items - will recalculate and add correct product cost for the modified item to the order. 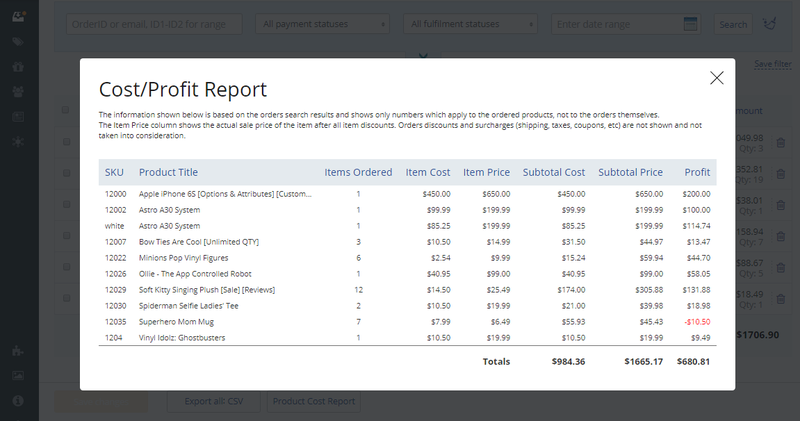 Generate product cost/profit report right from orders search page. The report will include only orders and their items from the search results. This allows admin to see the cost/profit report based on search criteria - for example between certain dates, weekly or monthly.